What was the biggest event that happened to you last year? What was a kind thing you did for someone last year? 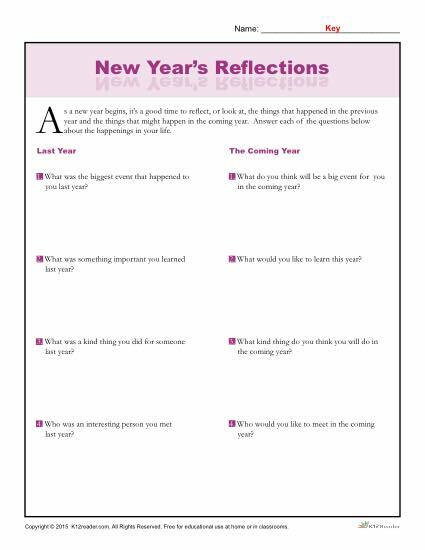 Students will answer questions like these in our New Years reflections activity. In addition, they will answer questions about what they would like to see from themselves in the upcoming year! This activity is ideal for Third, Fourth, and Fifth grade, but can be used where appropriate.